Trade shows are competitions. Each company that attends is hoping to make the best and most lasting impression on a crowd full of potential customers. To do that, your display has to stand out in a big way. There are many ways to build a trade show display and numerous options for including technology that helps engage visitors. What makes a trade show display successful? Above all, it has to capture the attention of a crowd experiencing sensory-overload. The common been-done-a-million-times displays get lost in the noise of the trade show. The displays that deliver on their goal - to attract potential customers - do so because they're new and compelling. They take advantage of technology and deftly leverage it to display products or services in innovative ways. Cutting edge trade show displays will always beat out the safe (and boring) options. Below, we've gathered 4 trade show displays that we know work. Why? Because we built them and our clients found the results they were looking for. 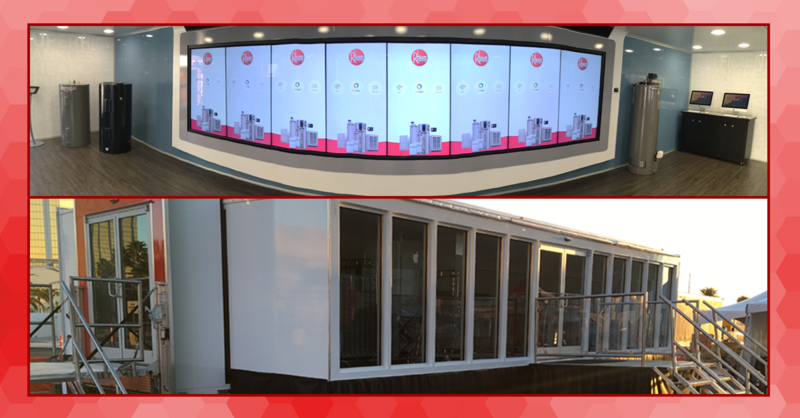 Rheem partnered with OneFire to deliver an engaging touchscreen experience that showcases their products & services inside the mobile exhibition trailer that is touring the country. 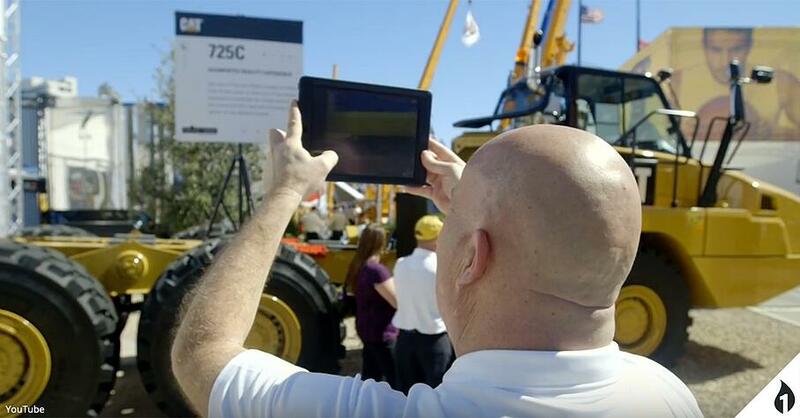 Caterpillar OEM Solutions partnered with OneFire to create an Augmented Reality application to display their different truck bed options. By viewing a Bare Chassis truck through an iPad, visitors could choose which truck bed they wanted to view in real space. 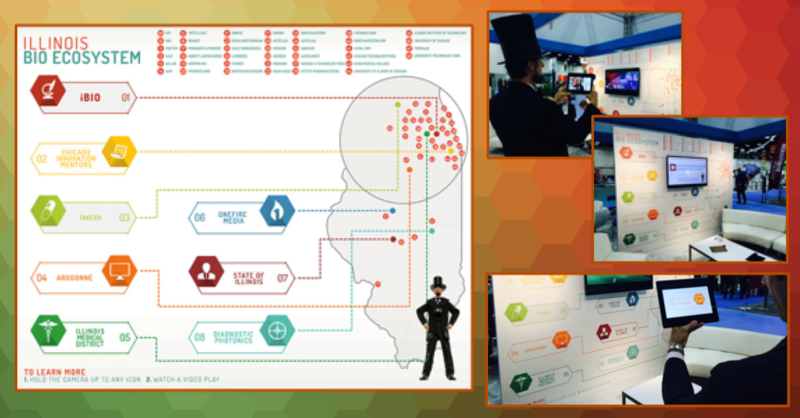 Illinois approached OneFire to develop a cool video display at the International BioTech Convention in San Dieago. By using an iPad and a large wall with icons, visitors were able to view on-demand video clips about all of the bio tech companies in Illinois. 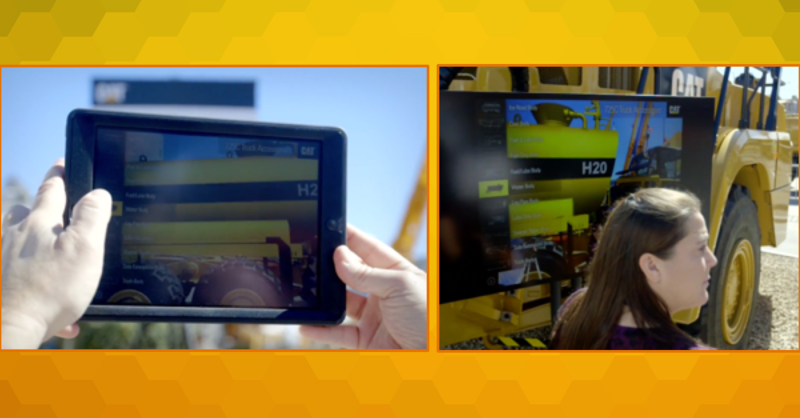 Caterpillar partnered with OneFire and another local agency to produce high resolution graphics and animations for installation in their booth at the MinExpo convention. 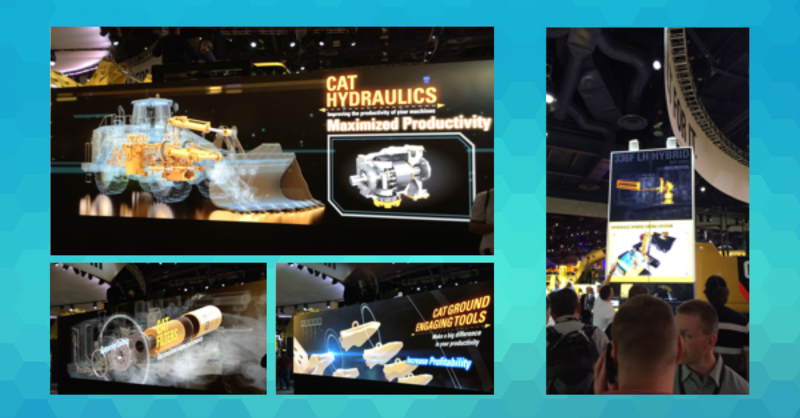 By using the CAD data from Caterpillar machines, we were able to show the value of owning Caterpillar equipment through the use of animations, exploded views, x-ray views and other stunning visuals. There's no greater advantage at a trade show than a display that speaks for you. Instead of fighting for eyeballs and vying for the time of potential customers, they'll seek you out to interact with the experience you've built. Are you ready to create your own unique trade show display that will attract potential customers and grab the attention of the crowd? 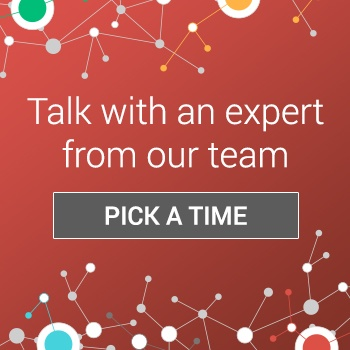 We'd love to help you build an experience that shows off your product or service in a brand new and indelible way. Make a splash at your next trade show event with a display that gets unprecedented results.